Need to take a vacation but lack the cash then u in luck , mate ! 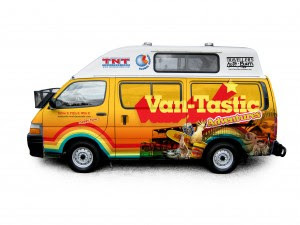 Geoff aka the free-wheeling temple to calm and cool, one who has come to us from a place of peace, love and wisdom at Aussie is looking for brave seven pairs of travellers, one for each of Australia's stunning states, to become Van-Tastic Adventurers. Here is some info bout him. To take part in the contest, just press this link.